The book of our times! I was never expecting to get that much out of this book. It’s full with brilliant information! This will be a game changer for me and hopefully for our generation and the youngest ones. 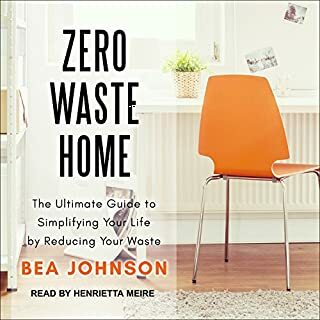 This book brings hope, concrete solutions, and without compromising too much on the zero-waste ideology, there is flexibility for the unavoidable less eco-friendly needs one could face. A real eye opener. I wish for everyone to read it and to try to adapt one little change at a time, until we find balance again in our lives and societies.